In the fashion world, what’s hot today may be old news tomorrow. One thing that never goes out of style? Strong and reliable Event Internet for fashion shows. Designers depend on fashion shows and events to share their latest collections with a worldwide audience. A single tweet from a key influencer is priceless publicity that can lead to millions of dollars in sales. 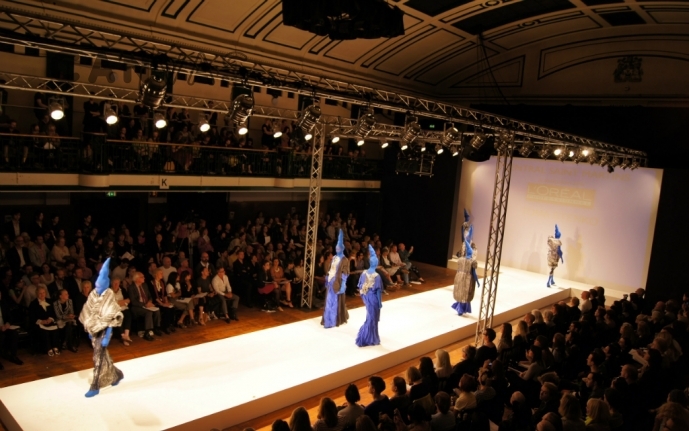 Event WiFi and Internet provider company, Made By WiFi, can help you generate buzz and secure reliable bandwidth for your fashion show or event. It may seem that the highly technical, black and white world of WiFi Internet and network technology would clash with the free-thinking, ever changing environment of the fashion industry, but our engineers can pull it off. The premier Internet service provider for fashion shows, we make it work—event WiFi and Internet that is. Fashion shows are becoming more and dependent on internet and bandwidth and for good reason – many everyday technologies used in the event industry simply need good WiFi and fast internet speeds to function correctly. It only takes a few minutes for the models to strut down the runway and during this time, hundreds of guests will try to connect to the WiFi at once. Venues that provide in-house WiFi are not typically prepared to handle the large influx of connections that a fashion runway event demands. In addition to the WiFi, Internet service needs to be able to support hundreds of devices simultaneously trying to stream video and spread your brand’s message around the world. Guest WiFi and Internet is only one piece of an ensemble. For example, outside vendors may have camera setups for streaming video that require dedicated bandwidth. Food and beverage vendors may require hardline Ethernet connections for POS devices. Registration companies may require Ethernet connections with static IPs to access their databases. Securing bandwidth for your fashion show is only the first step. Fashion show producers are a special breed that have a fine attention to detail. Creating a fully branded or sponsored captive portal page is the perfect way to stylize your Internet and guest WiFi service and create additional revenue through sponsorships and post-event marketing opportunities. Made By WiFi is the premier Internet provider for shows in fashion capital, New York City, and across the country. We may have serviced some notable events, but we’ll go unnoticed at yours. We put our clients first and never try to push our logo or brand onto your events. Our on-site technicians are prepared to match your event’s aesthetic and deliver service quickly and efficiently. Made By WiFi will ensure that you’re outfitted for success. Contact us today to begin planning temporary Internet and WiFi services for your next fashion show.